Double-review Friday! I haven't done one of these in a while, and both of these books were extremely short, so I figured, why not combine them into one post. Both were so-so. Here are my thoughts! Another three-star read from this author. My last Brazen novel was literally a Diane Alberts book, Temporarily Yours, the first book in this series. I've now read three of the books in this series (Temporarily Yours, Say You're Mine, and His Best Mistake), and I've read two of Alberts' books as Jen McLaughlin. While I enjoyed Say You're Mine, the other two books I've recently read in this series have been so-so. We meet Mark in Say You're Mine. He's a single father and security expert at Shillings Agency. He's ex-military too. Ever since his wife died several years ago, he hasn't been serious with women... because he doesn't want to go through that again, or put his daughter through that loss. Things change when he meets Daisy O'Rourke at a bar, and they have a one-night stand that he wants to be more than one night. But Daisy is suffering from loss too, and she's determined not to be with someone of a military background. Is Mark making a mistake by chasing this stubborn woman? Mark, I adored, in this book and in Say You're Mine. In this book, we see his pain and his loss, and how his background and his past shaped him. We don't really see much of him and his daughter, since his daughter is with his mother while he is attending his friend's wedding. Daisy is attending the same wedding, but she doesn't know that the man she just had a nameless one-night stand with is also at that wedding. And funnily enough... her friends want her to hook up with a guy named "Mark", who turns out to be the nameless one-night-stand man. Daisy is quite stubborn, hot and cold, but she can't deny their chemistry. The chemistry was medium hot, definitely not Alberts's typical level of heat, but still hot enough for a Brazen novel. I liked seeing Daisy change her mind about Mark (because she was wrong about him, so many times). In the end, they're a great pair. All of that being said, I didn't love this book. I didn't like Daisy, for one. She is so hot-and-cold, and sends so many mixed signals. It's always a battle with her, always an argument or a tug-of-war. And then she's always, always running. Every time things get too serious for her, she runs. Or lashes out. Honestly Daisy isn't the nicest person to be around, and I'm a little surprised that this is the type of person that Alberts would pair with a man with a little girl. The flight thing was really annoying, especially because Mark never stopped chasing her. Honestly I would have given up at some point. This book takes place over a couple of days - are you seriously telling me that you love a woman after a couple of days? And someone please tell me why MARK is doing the chasing even in the end... when Daisy is the one at fault. Huge. Pet. Peeve. Basically I didn't like that Daisy didn't try nearly as much as Mark did. Sure, they have okay chemistry and they seem to be a good pair when Daisy isn't running. But Daisy was always running. And there is the fact that she refuses to be with Mark because he's military, and her father had been military, and therefore all military men are awful (because her father used to drink). That is honestly the most messed up logic I've seen in a while. And then she insults Mark's parenting... woman, stop. You're not a mother at all, and you're not the girl's mother either. Don't ever do that, especially to a single parent who is clearing rocking the parenting thing. Her half-a**ed apology was such a non-apology. She was horrible! I do not recommend this book. I'm struggling to find positives in this book, though I do think, overall, that it wasn't bad. It's not worth rereading though, and I would skip this one in the series and read some of the other ones maybe. This one and Temporarily Yours did not impress me. The good thing about these books is that they are short and a least a little steamy, and always have a HEA! 2.5 stars -> rounded up to 3 stars. 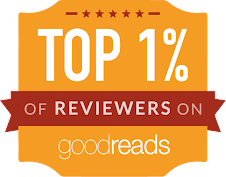 I liked the ending and I liked the HEA but I could not stand Daisy, or the lack of steamy scenes, or the hot-and-cold aspect. I don't love Alberts's Brazen books, but I highly recommend her Sons of Steel Row series (as Jen McLaughlin)! A bit of a disclaimer - I have not read any of the books in this series, nor have I read anything by Jessica Clare. I downloaded this novella completely by accident. 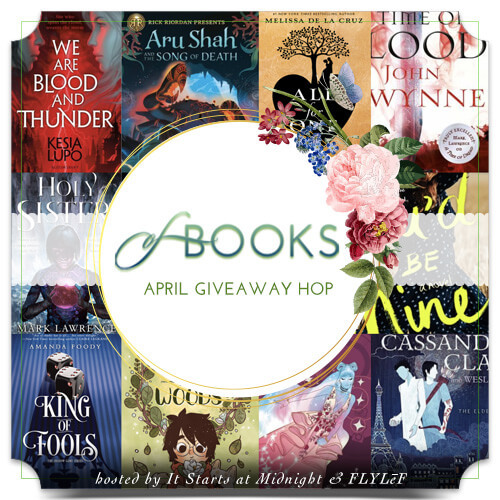 The publisher sent a promotional email that included a NetGalley widget, but I didn't see the widget at first, and I clicked within the email and bam! I've opened a widget in NetGalley and it's on my NetGalley shelf. So I figured, why not. I don't really do novellas, but this one was cute. Gretchen and Hunter's wedding is Christmas Eve, just a few days away, and Gretchen is freaking out. She wants everything to be perfect, but it's not just Bridezilla fever kicking in. Hunter is a billionaire, and she is an unemployed train wreck. She loves baking and decides that she is going to bake everything for the wedding. 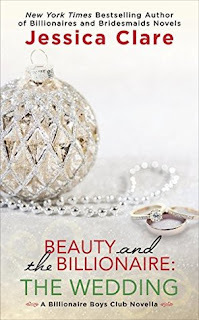 She wants a fairy tale wedding with nothing standing in their way... but nothing goes according to plan. Will they make it to the altar before things fall apart? This was a sweet novella. Gretchen is a seriously anxious person, and a bit of a control freak, and she has been taking on way too much. Baking cake, dessert, and bread for two hundred people? Good luck. Getting everything put together last-minute? It's no wonder Gretchen is on the verge of a breakdown. She tries so hard because she wants to impress her husband-to-be, to show him that he's not just marrying an unemployed loser. She loves him and wants to show him this. Hunter, on the other hand, is planning two big surprises for Gretchen, and he's excited and nervous about her reaction. Hunter is so thoughtful, and is very devoted to Gretchen. This novella was very short, but it got me into the characters' heads really well. I hadn't read any of the other books in the series, but I didn't need to. There is a family dynamic here too, and a wonderful friendship. Gretchen's younger sister Daphne has been out of contact with the family for quite some time, but shows up for the pre-wedding shenanigans. And it's nice to see Gretchen and her bridesmaids/friends interact - they are hilarious and so supportive of each other. The ending of this novella is cute! Exactly how I hoped it would end, and Gretchen and Hunter handle it beautifully. I like how everything came together. This is a novella and therefore, it was very short. There is a conflict (Gretchen's anxiety over the wedding), but there is also another story line in this novella. I felt like this was a bit much (to feature TWO couples), though the second story line was cute. I thought this was going to be a little steamier than it was! There was literally NO steamy scenes in this book. Not even a good makeout session. I'm a tiny bit disappointed! Honestly I felt a bit meh about the story, but again, I've not read any of the books in the series. I didn't know any of these characters like some of you who may have read one or two or all of the books in the series. Gretchen seemed a little crazy to me, and Hunter seemed a little one-dimensional, and I didn't particularly care for Wesley, and Wesley/Daphne. The bridesmaids and their interactions were fun though. They are hilarious! I think fans of Jessica Clare won't be disappointed, especially those who have read this series. I think this novella will be very satisfying, and those fans will love this check-in with the couple from Beauty and the Billionaire. But for me, who hasn't read the series... meh. It was an okay story. A cute novella. But not one that I'm going to remember weeks from now. Like I said, I downloaded this one by mistake! I had no intentions of reading it before that. 3 stars. It wasn't bad! This is definitely a case of it's-not-you-it's-me. Like I almost want people to disregard my review because my apathy is somewhat due to the fact that I'm not totally into this series! I have no background and really don't care too much about the series. But I may check out Beauty and the Billionaire. It sounds... weird, but intriguing. Plus I like the Hunter/Gretchen dynamic (though Gretchen is a bit loca). Well, well, glad you scoped out that first one for me. The heroine does sound like the type to dance on my last nerve- and I share your pet peeve of the one who screwed up (even if its the heroine) being the one to make the effort to amend things. Ha! I've done that accidental click before, too. I read the first book in this series, I think. It was cute, but I was only mildly interested so didn't come back to it. I do like that she's writing follow up novellas for the earlier characters, though. The other one... ehhh, I definitely could have done without that one. I need to be more careful! Clearly, I'm not gonna be adding any of these two to the list of romances to read! I hate when one of the pair doesn't put as much effort into the relationship as the other! Glad to see at least one of these books was a cute read! Hope your next Brazen read is awesome since I'm always on for the good ones (aka. I check your reviews haha). It's a huge pet peeve of mine! 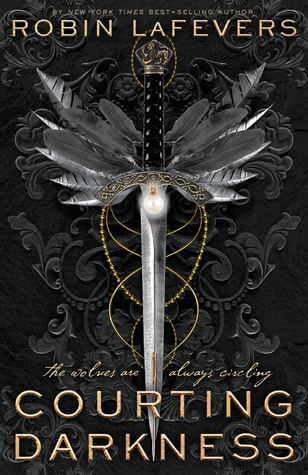 *headdesk* I'm hoping to read Samanthe Beck's upcoming one... she almost never disappoints me. I read one book of the series, Billionaire on the Loose. I thought it was just okay. I couldn't really get into it much or believe how the MC was acting most of the time. Ahhh, just okay. I definitely see that, in this novella. I'm not sure how I feel about reading anything else from the series! Brazen books are so hit or miss for me, but there are some real winners out there. Asking for Trouble by Tessa Bailey is one of my faves (although her newer stuff is too over the top for me). Recently, I have to agree. Their newest books have been up and down. I agree that Tessa's newer books have gotten weird and not as satisfying. This was my first Jessica Clare read! I'm not sure if I'll read anything else by her, but this one was not bad. Oh no, too bad you didn't love these. I don't think they're for me, but I hope you have better luck next time. okay I don't think I would have understood the chasing either o.o. But I have had a bit of bad luck when it comes to Brazen novels. The romance seems a bit too quick in this one as well as the lengths he would go for. The second, sorry that one didn't completely work for you XD maybe it would have been different if you were familiar with the series, maybe not. I never read the series myself. 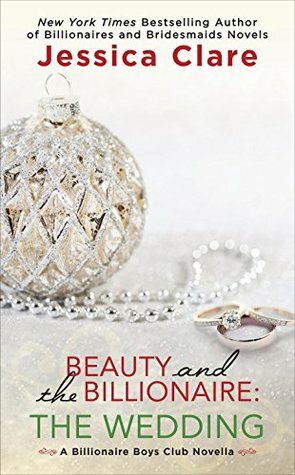 Beauty and the Billionaire sounds like it is a cute novella when you need something quick. It's a shame the brazen didnt work for you. I've had that author on my TBR for a while, but I think I'll start with her McLaughlin stuff. Great reviews. Brazen's recent novels have not really worked for me! Though I did like the first two books in Katee Robert's Foolproof Love series (the third book was awful). LOL! Me too. Three-star reviews are hard.